Red Tricycle’s Totally Awesome Awards is the largest awards program in the greater parenting community. The Totally Awesome Awards recognize the best family-friendly products, parenting tips, and resources for babies and tots across the nation and allows parents to elect their favorites from a curated list of best-of-the-best. We are so honored to have been chosen! 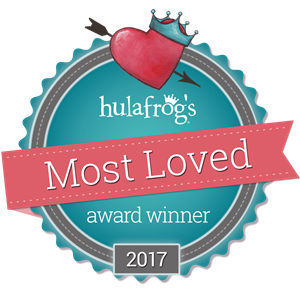 2017 Hulafrog Most Loved music class winner! Check out her first impressions of the music and her recommendation that Music Together at Fairfield County is the best mommy-and-me class she has taken in the area. Thanks, Shauna!